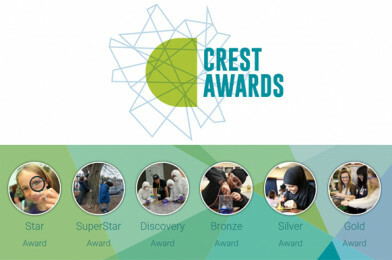 North West Home Educators: You can run CREST Awards! Are you a home educator in our region? Projects are a great way to help young people apply science to their own interests and doing a CREST project helps develop independence and project management skills. All About STEM are now the North West Regional CREST Support Organisation and we can help you get started! The CREST Awards scheme is the British Science Association’s flagship programme for young people, providing a flexible STEM project framework that inspires and engages 5 to 19 year olds. The CREST Awards scheme has a longstanding legacy, with the BSA celebrating 30 years of CREST in 2017. As North West Regional CREST Support Organisation we’re here to promote CREST Awards across the region and offer the support needed to run this amazing scheme. We can provide information, link you up with activity providers, advise on funding and connect you with mentors.